If you’re a flagship smartphone buyer who hasn’t already adopted the Galaxy S5, the HTC One M8, or the Sony Xperia Z2, chances are you’re probably patiently awaiting the LG G3 instead. That’s the case for a lot of people, thanks to the success of last year’s G2. Fortunately, that wait is nearly over. LG plans to announce its new flagship on May 27 in London, and to remind you what’s in store, the company today released a new teaser video that focuses on the handset’s design and impressive camera technology. The G3 is expected to look a lot like the G2 overall, but it’s thought LG will switch materials to rid the handset of the nasty, slimy finish that made last year’s model a fingerprint magnet. Instead, you can expect to see more of a brushed metal effect — almost like the gunmetal grey HTC One M8. LG has also made some changes to the G3’s rear-facing buttons — just as the rumors predicted — which we see in the video below, while the optical image stabilization technology that made the G2’s camera so great is still present. 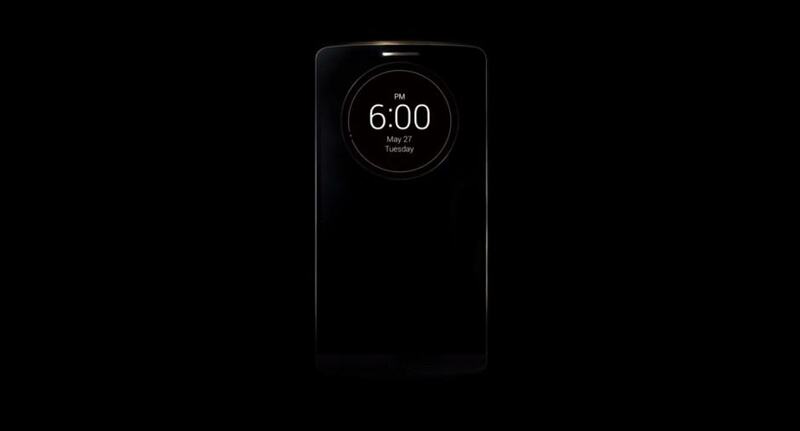 Parts of the video also indicate that we will see improved speakers, and what appears to be an intelligent lock screen like the Moto X’s Active Display feature, which gives users a glimpse at incoming notifications while the device is asleep. LG will announce on the G3 on London on May 27 — two weeks today — at 6 p.m. local time.